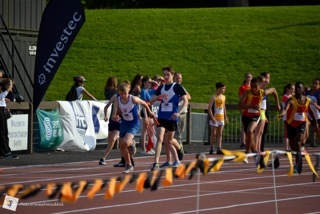 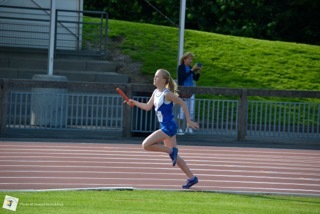 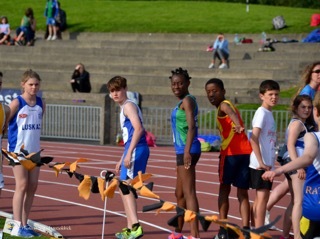 The Club had a great Night at the Morton International Games last Wednesday at Santry Stadium, this event is getting better every year and it was a great experience for our young athletes to open the meeting with a win in the u15 mile relay. 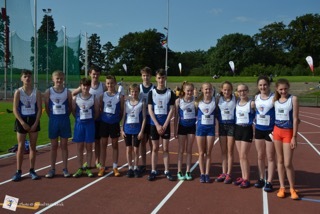 This was our 3rd year competing in this event and our athletes put on a great show taking gold in a time of 3mins 39 s.
Congratulations to Jed Walsh, Oisin Kelly, Tom Kilgannon, Oisin McKenna, Ella Healy, Matthew Hayes, Emma O’ Connell, Marcus Clarke, Laura Smith, Eoin Kane, Fionn Drummond, Aimee Doherty, Aisling Stratford, Aobh Forde and Laura Kelly. 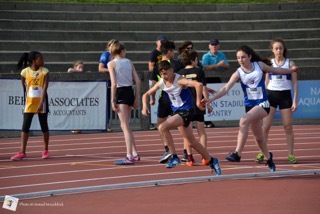 Thanks again to Gerry Carr from Clonliffe Harriers for inviting us on the night and we look forward to competing again next year.